The Environmental Justice Team at Lone Star Legal Aid welcomes you to the first edition of Environmental Justice News. We’re keeping communities updated on our team’s ongoing environmental law efforts throughout our 72-county service area. In our newsletter, you’ll find an overview of the types of legal cases we’re currently handling for eligible individuals and organizations who are living in fenceline communities and other areas where environmental justice is a concern. If you have an environmental legal matter that concerns you, please call 713-652-0077 ext. 8108 for more information on how we might be able to help your neighborhood. Please JOIN US at Discovery Green on Sunday, April 22 nd as we celebrate Earth Day! 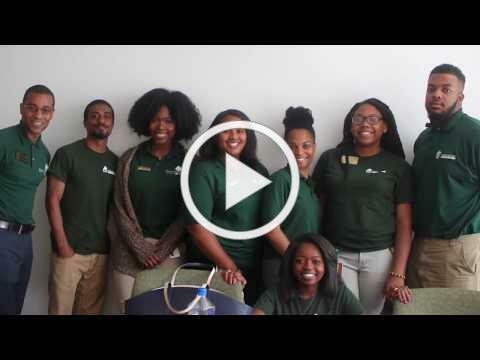 LSLA Environmental Justice Team members will be at the ready to answer all of your questions about tackling environmental justice issues in your neighborhood. You’ll find us in a booth at Discovery Green from 12-6pm. 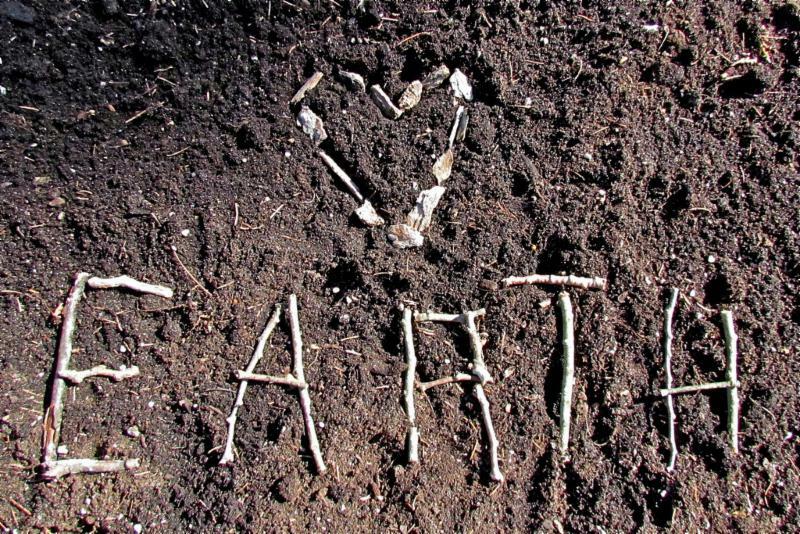 Find out more about Discovery Green's Earth Day celebration here. 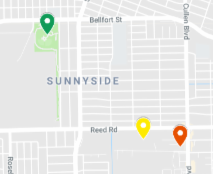 A Sunnyside community group, Concerned Citizens for Accountability, is elated about the City of Houston’s announcement of its plans for a new Sunnyside Multi-Service Center to be built at 4410 Reed Road (yellow marker on map). The new location is less than one mile west of its current location at Cullen Boulevard and Wilmington Street (red marker on map). It will house a two-story, 60,000-square-foot building and complex including a health clinic and community park. The site will be accessible from both Reed Road and Wilmington Street. Residents retained LSLA’s Environmental Justice team in May of 2017 after voicing concerns about the City of Houston’s proposal to relocate Sunnyside Multi-Service Center, the community’s longtime and well-used multi-service center, to an area adjacent to a closed municipal landfill on Holmes Road (green marker on map). Community members had been engaged for months with City of Houston officials with no change in sight. After attending multiple community meetings and listening to residents’ concerns about the proposed landfill site, LSLA investigated the potential environmental hazards of the site by obtaining information through open records requests, gathering environmental reports on the site, and conducting an independent investigation of historical circumstances surrounding the site. Sunnyside resident and licensed environmental engineer Tahir Charles, a member of Concerned Citizens for Accountability, was a vocal advocate that the proposed dumpsite was unsuitable for a community center. Charles discovered a 2010 environmental report on the site which recommended continued monitoring for the presence of methane, a gas that, when found in high enough concentrations, can leach into structures built on top of the brownfields, creating health risks including the possible hazard of explosion. “If that old dump was so safe, why wouldn’t the City sell that 300 acres, rather than the existing land the Multi-Service Center is located on?” asked Charles. Complementing their environmental investigation on the Holmes Road site, LSLA partnered with Texas Housers to c onduct a community survey, which confirmed the broader community’s opinions on the relocation. Survey results from over 100 residents overwhelmingly showed the community was strongly opposed to the City’s proposal to relocate the multi-service center to the former landfill area. On May 30, 2017, LSLA sent a detailed 8-page letter to the Mayor of Houston outlining the potential risks and hazards of relocating the multi-service center to the landfill site. Responding to the community’s concerns as noted by LSLA, the Mayor’s office initially indicated that the City no longer planned to use the landfill-related site for the new multi-service center, but hadn’t foreshadowed an alternative. Nearly ten months later, on March 20, 2018, the City announced its plans for a new Sunnyside Multi-Service Center to be built at 4410 Reed Road. Furthering the discussion on environmental justice for the Sunnyside community, EJ team leader Amy Dinn adds that a continued interest should remain both at the City and within the Community for transforming brownfields like the Holmes Road landfill site into usable space, provided that full remediation takes place. “The Sunnyside community deserves to have this environmental hazard fully remediated and transformed into something that can benefit the area economically or will serve another interest as defined by the residents,” said Dinn. Seeing potential for this brownfield, the City of Houston has recently entered the Holmes Road landfill site into a global competition for its use. The deadline for submitting entry ideas is May 31st: Reinventing Cities . 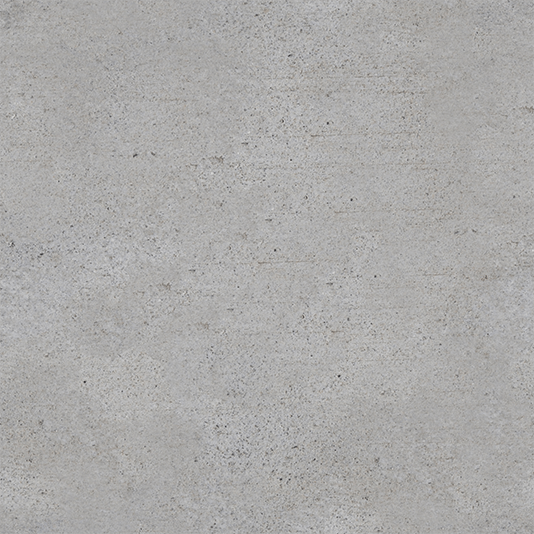 When a concrete batch plant recently attempted to set up shop in the Minnetex area of Super Neighborhood 77 , community members pushed back. Fighting for their right to clean air, residents sought counsel from LSLA Environmental Justice Attorney Colin Cox to challenge an air permit being granted to the concrete batch plant by Texas Commission for Environmental Quality (TCEQ), the state’s environmental regulatory agency. With LSLA’s assistance, community members negotiated a settlement with the plant. The settlement will not only reduce the amount of air pollution created by the plant, but also provides educational and economic opportunities for community members. Tangible benefits include a reduction in the plant’s operating hours, which will reduce the amount of air pollution emitted by the plant. In addition, professional air monitoring equipment will be provided to the community along with five years of air monitoring services provided by professional environmental scientists. As a part of this air monitoring program, a community member will assist scientists with the monitoring. The settlement also establishes a Youth Apprenticeship program, where local young men and women will have paid internships for the summer. 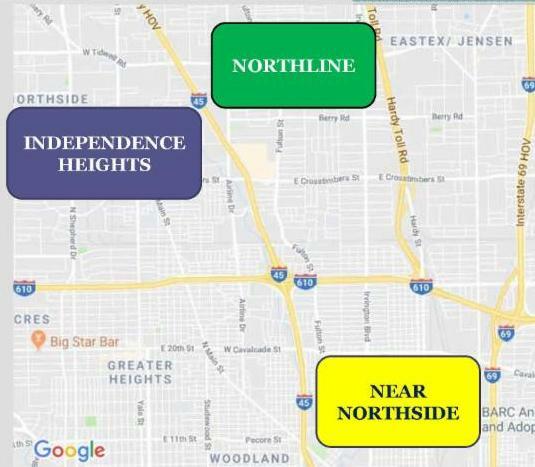 Texas Department of Transportation (TxDOT) has plans to expand I-45 North, also known as the North Houston Highway Improvement Project (NHHIP) . 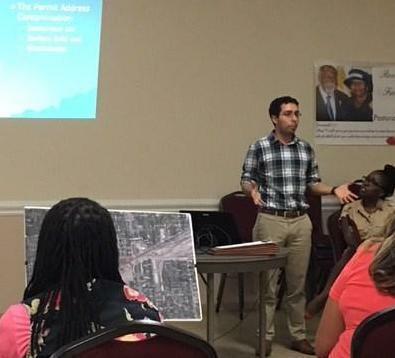 As part of the Make I-45 Better Coalition, residents and community groups from Independence Heights, Near Northside, and Northline neighborhoods recently shared their personal stories and views with TxDOT on the threats posed by the project to affordable housing, cultural resources, connectivity and mobility. At stake in Segment 2 of the Project is the projected loss of valued cultural resources, including historic churches, schools, childcare centers, and an esteemed culinary institute. The expansion also threatens to displace hundreds of residents living in areas already lacking affordable housing while property values continue to rise in these neighborhoods. In collaboration with other community organizations in the Coalition like LINK Houston and Air Alliance Houston , Brianna Davis, a volunteer intern from Texas Southern University’s Thurgood Marshall School of Law and LSLA’s Amy Dinn created a PowerPoint presentation to accompany the March TxDOT briefing, which emphasized the need for mitigation of impacts the proposed expansion would have on these communities, including providing safer alternatives for pedestrian and bicycle traffic and providing better accessibility to schools and green spaces impacted by the expansion. Last summer, the community-based Make I-45 Better Coalition submitted formal comments to TxDOT in response to a Draft Environmental Impact Statement (DEIS) released by TxDOT in 2017. The size and scope of the NHHIP can be overwhelming, as it seeks to realign I-45 with I-69 along the east side of downtown. The plan would crisscross multiple sections of highway over the White Oak Bayou greenway, radically altering its landscape and the riparian habitats of both the White Oak and Little White Oak Bayous, finally snaking its multi-lane expansion northward past Beltway 8, affecting dozens of Houston-area communities in its path. For its part, the Coalition hopes that TxDOT will take the group's environmental justice concerns and comments into consideration in the Final Environmental Impact Statement (FEIS) that will likely be published before the end of the year. Coalition for Environment, Equity and Resilience (CEER). CEER aims to drive community voices into the post-Hurricane Harvey decision-making process to promote equity and resilience by emphasizing land, water, air, waste, and housing policies that reduce human exposure to pollution and strengthen environmental conservation. 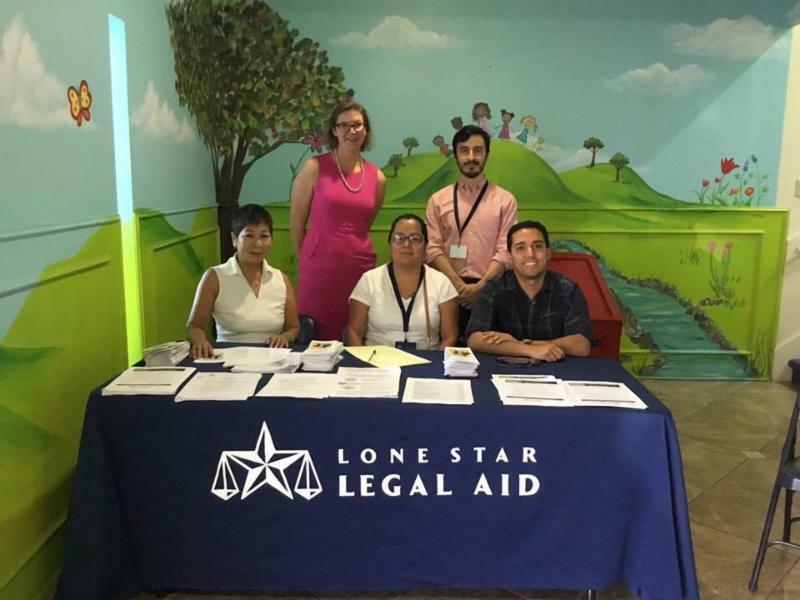 Each partner organization has pledged to support the Coalition’s 8-point plan for community redevelopment, which fits squarely within the mission of Lone Star Legal Aid’s Equitable Development Initiative. Learn more about CEER’s vision for Houston and its guiding principles here. Indoor pollutants can cause headaches, dizziness, nausea, fatigue, dry or runny eyes, congestion, and sore throats. Improve your home health. Read more here .